Without taking the right mitigation steps, up to 1/3 of your retirement income could end up consumed by tax payments. Luckily, you can take the time to adjust your approach and make sure your hard earned and saved retirement funds remain in your accounts. Here’s what you need to know about paying taxes on your retirement income. 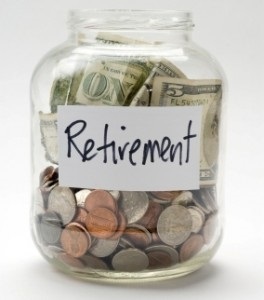 Your retirement funds should be spread evenly across tax deferred, tax exempt and taxable accounts. By placing a large ratio of your funds in tax-deferred accounts, you will have less to work with when it comes time to withdrawal since tax payments in Missouri will take a big portion. By spreading your funds across each of these options, you vary the tax rates and maximize the amount of money you receive in hand when you go to make your required and suggested distributions. You can strategize the best way to take your distributions to keep your tax obligations as low as possible. You should always take your minimum required distributions first, and then pull from your taxable accounts to keep your capital gains tax rate at an acceptable level. Make sure you have held the accounts for more than a year to reduce your capital gains tax rates to their lowest point. After pulling all of your funds out of your taxable accounts, you can move onto your tax-deferred and tax-exempt accounts while continuing to take your minimum distributions. If you decide to relocate while in retirement, you should research your intended destination before committing to the move. If the state does not have personal income tax, you may be on the hook for tax through property ownership, product sales and other burdens. You should also make sure you qualify for the tax breaks you were counting on to keep your obligations in check. To receive quality assistance with your tax calculations, contact the professionals at Alliance Financial & Income Tax in Blue Springs, MO for a consultation appointment.